Life in Transit | Unofficial Britain. 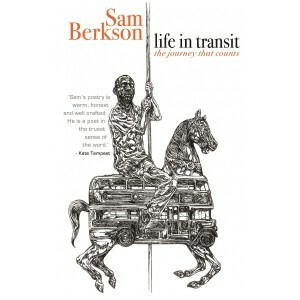 Life in Transit is a poetry collection from Sam Berkson that explores the experience of public transport in neoliberal Britain. Whether it’s protesting the third runway at Heathrow, questioning Tannoy announcements in railway stations or celebrating the bicycle, Sam’s keen eye exposes the smoke and mirrors of public life, whilst he celebrates the human journey and the indomitable spirit of the traveller. Life in Transit searches for the public in a world that is increasingly privatised, both in terms of the ‘chartered’ space of corporate land grabs, but also the detachment of the individual in the late capitalist experience. Sam Berkson’s collection focuses on the journey, rather than the destination.